Atomos is known for making great external recorders for semi-professional and professional applications, but their recorders have been lacking some must-have features for professional use, the biggest of which being the lack of a DC input. You can read our blog post on the subject here. 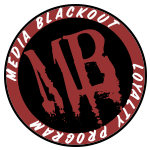 Media Blackout is now proud to offering a service to install 14.4V Lemo connectors the Samurai and Samurai Blade. The Atomos Samurai/Ninja Mod consists of the installation of a standard 2-pin Lemo (0b.302) jack near the power button on the Samurai, Samurai Blade, Ninja, and Ninja Blade. All those devices accept voltages from 6.2-16.8V (well within the voltage range of a fully charged Anton/Bauer, IDX, or similar battery). Other devices may be suitable for modifications as well; just contact us to find out. Return shipping with insurance will be calculated on checkout. Buyer is responsible for shipping to Media Blackout. Don’t forget to add a P-Tap or Lemo power cables to your order!